SEO expert Stephan Spencer is today’s guest on The Real Magic, and he delves into some truly fascinating topics with Alan & Greg. Important SEO topics are highlighted such as trying to rank a website with minimal text copy, the dangers of black-hat SEO techniques, and how to surround yourself with the right type of people for your creative team. 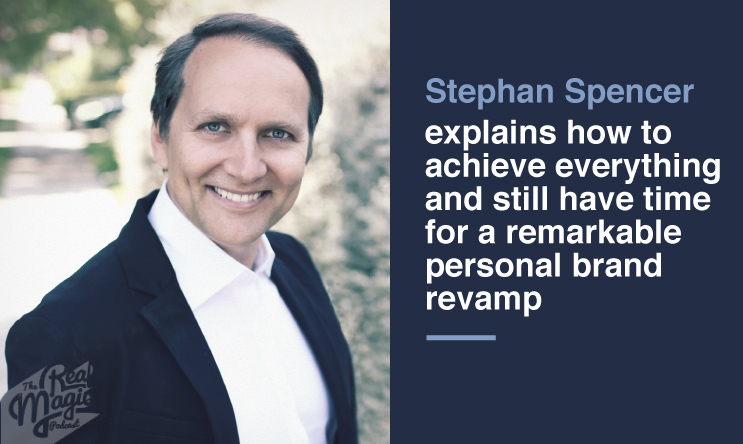 You’ll be inspired by Stephan’s complete personal transformation, making several important lifestyle changes as part of his personal branding process. Stephen completely rebooted his outer appearance and began making healthy lifestyle choices, redesigning himself and increasing his personal brand appeal in the process. Don’t get caught up in webs of lies and false promises spun by rank SEO amateurs, listen to this episode and discover how to really separate fact from fiction, as well as some of the best SEO practices to follow to ensure an upstanding reputation with Google’s crawlers. Do you have any SEO information or tips? Share them in the comments below for The Real Magic hosts!